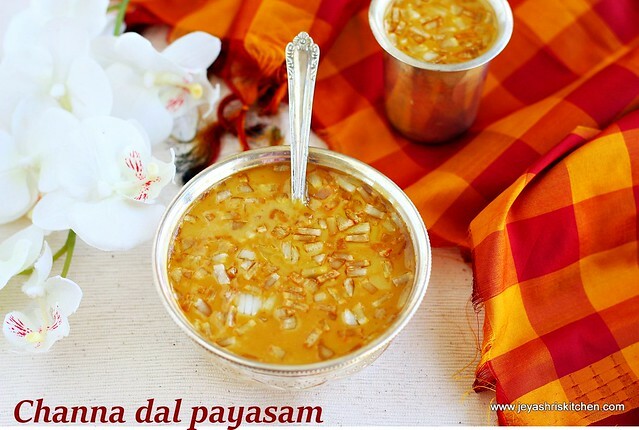 Kadala paruppu payasam | chana dal payasam made with coconut milk and jaggery is used for sweetness. 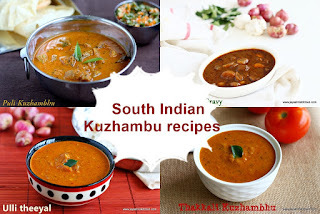 Generally in most of the Tamil brahmin homes we make paruppu payasam for all occasions. 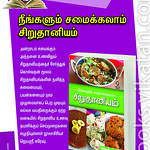 We make it using paasi paruppu and jaggery. 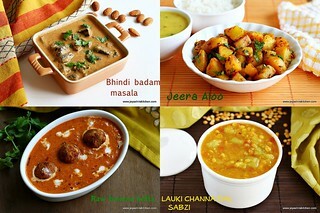 Some people add little chana dal to that. Recently one of my friend shared this kadala paruppu payasam, in kerala they call it as kadala parippu pradaman. Generally Keralites make it in traditional uruli(a heavy bottomed brass vessel), as the kheer needs to boil for a long time. I don't claim this as authentic kerala pradaman but we all loved it a lot. I was about to post caramel payasam today but the video didn't turn out well. Will post it soon. 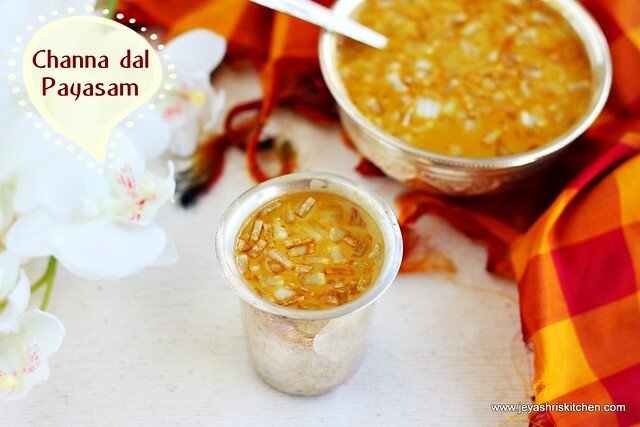 Since tomorrow is Tamil new year | Vishu, make this kadala paruppu payasam and celebrate the New year. 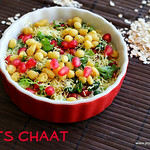 In a pan add 1 tsp of ghee and add the channa dal. Roast this for 2-3 minutes. Do not get it burnt. Pressure cook this till 5-6 whistles by adding 1 cup of water to this. Mash it here and there using a potato masher. If you want to make it nicely mashed mash it nicely. We all love the crunchiness of channa dal so i mashed little. In the pan add 1 tsp of ghee and roast the coconut bits. Roast in a low flame till it becomes golden brown. Add jaggery in the pan. I added 3/4 cup but it felt it was bit more. You can reduce 1-2 tblsp jaggery. 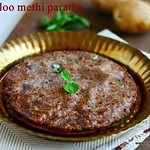 Melt the jaggery by adding 1/2 cup of water to this. Filter the impurities and put it back to the pan. Add the cooked channa dal to the pan. Mix well. Let this boil for 2-3 minutes. Add the thin coconut milk to this. I used store bought coconut milk. I diluted 1/2 cup thick milk with 1/2 cup water. 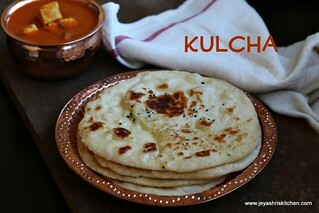 If using homemade ones use the second milk, check my post on Home made coconut milk. Do no worry if the mixture is thin. It will become thick in the last stage. Let this boil in a low flame for 20 minutes. Stir it in between. Now add the thick coconut milk. Mix well and boil for a minute and switch off the flame. Add the cardamom powder, dry ginger powder and roasted coconut. Channa dal payasam is ready. You can serve hot or serve chilled. You can roast cashew nuts in ghee and add to the payasam. Store bought coconut milk works out well too. 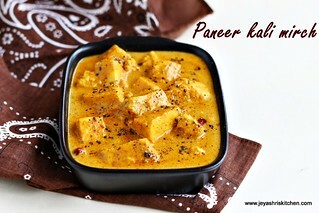 I used 3/4 cup jaggery and felt it is little more, so you can reduce it to 1/2 cup too. 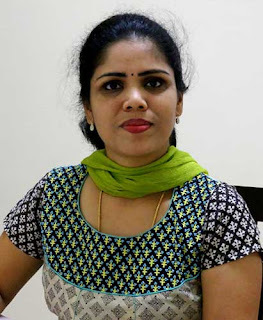 Hi Jeyashri, I have started seeing your blog from 2016. 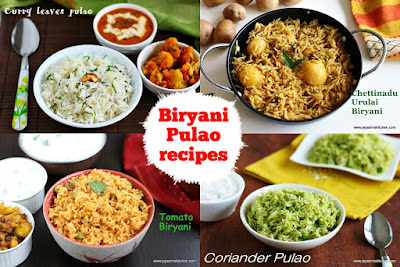 After seeing variety of recipes i have become so passionate to cooking. Also, my daughter loves your blog & she will tell me what to cook today. We are living at KK Nagar, Chennai. Since kids are also watching your blog, recent days i have some ads which is good to for kids. can you look into this? Thank you so much for the message. We don't have control over ads. It's google Adsense ads which will vary from user to user according. No same reader will get the same ads. Kerala kids around the world consume this special payasam without a problem. My mother would mix chana and whole green bean, so it's kinder to the stomach when we consume a lot.